Is Windows Phone a Better Option than iPhone or Android? 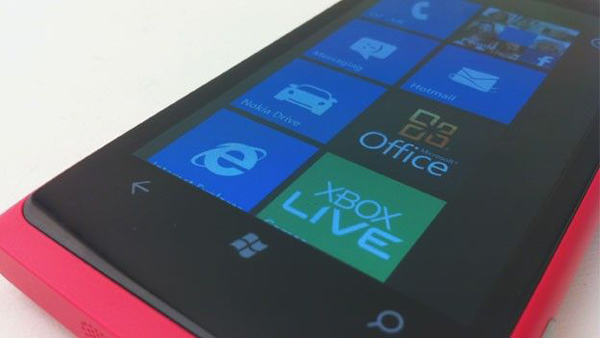 Home Android Is Windows Phone a Better Option than iPhone or Android? If you’re thinking about buying a smartphone like windows phone then there are plenty of options like Windows phone are open to you, with a whole array of different technical specifications and prices to choose from. It’s easy to see why the Apple iPhone has become so hugely popular because it is a great phone, without doubt. Similarly, the smartphones that come running the Android operating system have also been top sellers, mainly because it’s such a great platform for everything you need to do on a handset. What’s more, successive updates to the OS have made it even more robust and it now has the ability to do just about anything. However, now it’s possible to take another angle entirely thanks to the latest incarnation of the Windows Phone 7 operating system. Although previous versions of the Windows mobile OS for smartphones were a little bit hit and miss and failed to capture the imagination of handset users, the new package is a whole new ball game. In fact, now that Nokia has struck a deal with Microsoft to produce Windows mobile phones, there is now a very decent option if you don’t want to go down the more predictable Apple or Android route. Other phone manufacturers such as HTC have also produced Microsoft Windows phones that run the latest operating system too. HTC already has a reputation for producing great smartphones, so combine that with the new and improved Windows Mobile 7 and you have a surprisingly potent package. And, of course, because the marketplace is so crowded and competitive, there are plenty of deals to be had from network providers, just as long as you spend some time shopping around before you buy. Key to whether or not you like an operating system really though is to try it out. If you have a look at the latest Windows mobile OS you’ll probably be pleasantly surprised, because it comes with all of the things you’d expect from the rivals. However, added to this is the excellent and highly user-friendly interface that relies on simplicity and speed in which to work. What’s more, the new models that are appearing, such as the Nokia Lumia 800 features a wealth of built-in hardware too. In fact, Nokia has long had a solid reputation for producing phones that come with really impressive cameras and the new models for Windows are no exception. So if you add all of these features and functionality together then you’ll find that the latest Windows phone 7, added to a cracking new handset, will mean that you have an excellent all-round package that will easily stand the test of time. Better still, if you make sure that you do your homework first and compare the many different deals and offers that are out there, then you could bag a smartphone that does it all and for the right price too.